In the 163rd meeting between the rivals on Wednesday night, the Swarthmore Men’s Basketball pulled off a thrilling 62-59 victory against Haverford (5-11) in front of packed bleachers in Tarble Pavillion, giving them the team its fifth win of the season (5-13). The game started off slowly, with the score tied at 2-2 for the first five minutes of the game. A layup by Kober finally put the Garnet in front where they remained for the remainder of the contest. The Garnet led 31-26 at the half. The second half proved to be a thrilling 20 minutes of action, with the Fords pulling within a basket several times but never able to overtake the Garnet. With 9:34 left in the game, Kober hit a jump shot from the wing to give the Garnet a 50-37 lead – their largest of the night. However, the Fords mustered a final charge in the last five minutes of the game, storming back from the double-digit deficit to put themselves down just one 60-59 with 49 seconds left to play. A missed jump and a defensive rebound by Kober sealed the deal, as he went to the free throw line with five seconds left in the game and canned the two crucial free throws. A Louis Cipriano three as time expired was just short, hanging on the front of the rim. 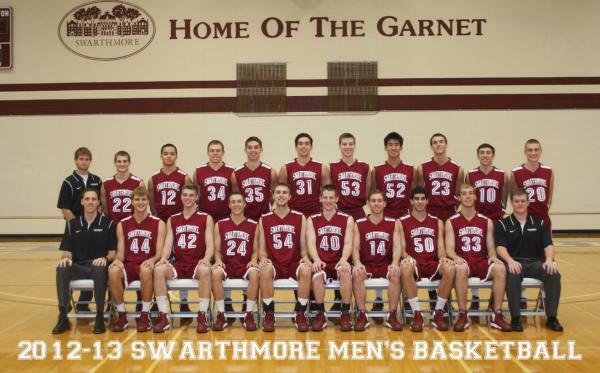 The Garnet remains home to take on the Gettysburg Bullets on Saturday. The Bullets currently sit in fifth place in the Centennial Conference standings with the Garnet two games back with seven to play. Tip-off is set for 3 pm.